Technician was on time, professional, fixed the problem. Greatly appreciated. Very informative, thorough, clean, careful, friendly. Fantastic job. He fixed our refrigerator and it now runs as it should. It hasn't been this quiet since we bought it! Thank you Jay!!!! Very professional, fixed my issue quickly and effectively. Went above and beyond showing me all of the features my fridge has. A service technician arrived at our door within 2 hours of my call. Unbelievable! Lukas was polite and went right to work using the skills he has to do the right thing with our refrigerator. Very impressed! Glad we were able to fit you in Karen! Thanks for giving us the chance to help you. REFRIGERATOR KITCHEN AID KFIS29BBMS03 "Inlet valve on back of unit froze and broke. Installed new inlet valve and pressurized system. All good, no leaks. Ran water through and checked inside valve as well, all good, water coming out dispenser normally, no leaks inside or out. Saw pantry UI LED out, unplugged display per cust request, does not want to repair that. 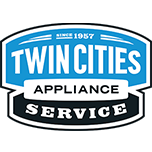 All ops good"
DRYER MAYTAG MGDX655DW2 "Replace parts, test ok"
DISHWASHER WHIRLPOOL WDF520PADM7 "4-3 need new sump, cust to get new machine"
RANGE WHIRLPOOL WEE730H0DS0 "Getting low fan speed error code. Entered diagnostics and checked error codes, f8e0 for bad cooling fan. Installed new cooling fan. Ran bake cycle, heating normally, fan coming on and sounding normal. All ops good"
DRYER MAYTAG MGDX655DW2 "Machine got pulled forward and came off vent, reattach vent test ok"
WASHER MAYTAG MVWX655DW0 "120 to ccu, but no operation, had to drain out 10 gallons of water first, need new ccu, cust will call if wants fixed, ccu started working, calibrate, tried tset cycle and pump not working, also needs pump"
REFRIGERATOR KITCHEN AID KSRV22FVWH02 Installed new compressor and charged with 5.3 ounces of r134a. Customer will give it 24 hours to cool down. WASHER WHIRLPOOL MVWB865GW0 "Customer has floor drain issues so thinks it’s putting out too much water so I told use auto fill instead of deep fill and with more clothing meaning more water will come in plus instruct her about estimate time, it’s not going to be real time..unit pass diagnostics test with no code.."
WASHER MAYTAG MVWB835DW0 "Replace parts, now getting 7-5 shifter, check harness and is ok, new shifter is bad, tests open, not getting 120 to shifter from ccu; ordrng 1 W10754448 (clutch) and 1 W11100602 (CCU)"
WASHER MAYTAG MVWB765FW3 "Install valve and holes, noise is gone, customer hot water from wall is not working he will have to get Plummer to fix it..; used 1 8212641RP (HOLES), and 1 W11165546 (VALVE) from stock"
WASHER MAYTAG MVWB835DW0 Install cuu and clutch check over unit tested out good ran diagnostics went thr fine with calibration pass..
MICROWAVE WHIRLPOOL WML75011HZ2 "LED light underneath worked one time then went out. Removed reflector and cycled power to unit. Now when turning light on it will come on but very dimly. Checked for 12 volts dc at light LED per WP techline, only getting about 8 volts. Ordering new lamp LED, LED driver and hood PC board. Please allow job code 2 ; ordrng 1 W11048293 (LED LAMP) and 1 W11117964 (DRIVER, LED) and 1 W11133802 (HOOD PCB)"
REFRIGERATOR WHIRLPOOL WRF560SEYM05 Drain tube plugged. Operation tested good after defrosting and trimming the grommet. The ice maker arm is working as designed. WASHER MAYTAG MVWX655DW0 "Ran test for spin cycle for a while so motor is getting hot order motor which have 10 warranty on it customer paying for trip and labor, paid in full..; ordrng 1 W10006487 (motor-drve)"
OVEN JENNAIR JJW8630CAB F1 error and f7 error. Per tech sheet check the membrane harness. If everything checks good replace both relay boards. All connections looked good so I reseated them. Still giving error codes after turning the power back on. Relay boards are nla. Customer is going to shop around. WASHER MAYTAG MVWX655DW0 "Install motor ran diagnostics went thr fine calibrated it, went to manual spin on high/low speed check motor it’s cool not as hot as previous motor.."
DISHWASHER KITCHENAID KUDW03CTBL3 Drop part at front door..
DRYER WHIRLPOOL MGD3500FW0 "Remove lint from blower wheel, test ok"
REFRIGERATOR MAYTAG MSD2559XEM04 "Hinge pin on lower ref door hinge broke off, causing bottom of door to slip off hinge and fall down. Cust said it hit a child when it fell out and the child had a headache for a couple of days but no hospital visit was necessary. There are several dimples in the door but the cust does not know if they were caused by the door falling out or if they were there before. Unit would need lower hinge for ref door, part wpw10219817. Called WP techline to document, SR 7724370161. They transferred me to Safety and i documented with them as well, they said they would go ahead and cover the cost of the hinge and the labor and gave me an auth number, mjc5jjcepl1. Hinge is out of stock at Dey and does not show if it is available at WP, please x-part as there is no way to get door to stay on current hinge. ; ordrng 1 WPW10219817 (HINGE)"
WASHER MAYTAG MHW3505FW1 "No error codes, run test cycle, ok, put clothes in and spin, normal sounds, cust will take video if noisy again"
MICROWAVE WHIRLPOOL WMH78019HZ0 "Customer has different problem with time jump around, she would hit 30 seconds and go about 10 and says it’s done, have thermistor code too so order board and door with thermistor..; ordrng 1 W10536989 (thermistor) and 1 W11128342 (cntrl-elec) and 1 W11188093 (DOOR)"